Michael Jordan once said ” You have to expect things of yourself before you can do them”. 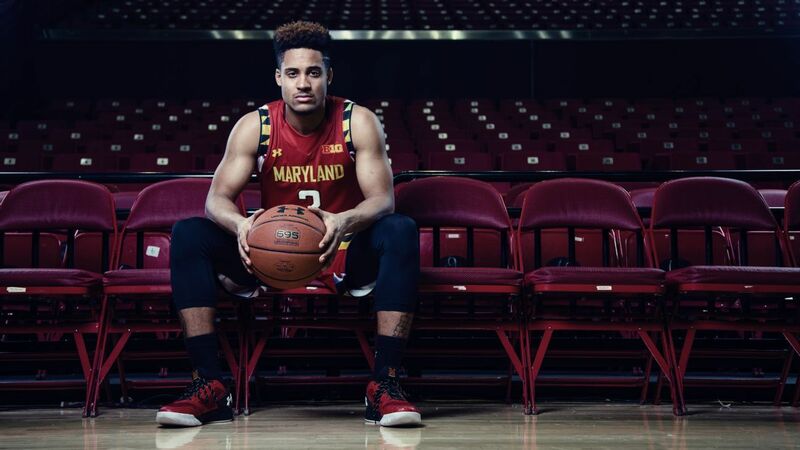 Melo Trimble understood what being the face of a basketball program was when he decided to commit to the University of Maryland to play basketball. However what he didn’t know is that he would have a chance to be one of the greatest guards in Maryland’s history. A good foundation and loving mother in Kim Trimble made the necessary sacrifices for he son Romelo Trimble known as Melo, to chase his dream to play basketball. His mom would drive him to Bishop O’Connell High School in Arlington, Virginia, at 5 a.m. so he could shoot at least 100 shots before school had started. That sacrifice would allow Melo to become one of the most hyped basketball prospects in the DMV area. Those extra shots before school payed off his junior year at O’ Connell where he averaged 20.8 points a game and earned All-Metro first team from the Washington Post. But Melo wasn’t finishing cementing his legacy at O’Connell during in senior year. Trimble dominated the AAU circuit playing with the prominent DC Assault, becoming the 29th ranked player nationally and 7th best shooting guard according to ESPN.com. Trimble would also be named the one player in the state of Maryland which would lead to him being a McDonalds All-American. Oh and of course he would average 23.1 points a game and have an epic senior night when he poured in 35 points, 13 assists and 11 rebounds. He would historically finish his career at O’Connell earning the Washington Post All-Metro,WCAC and Virginia Independent Schools Athletic Association Division I player of the year. 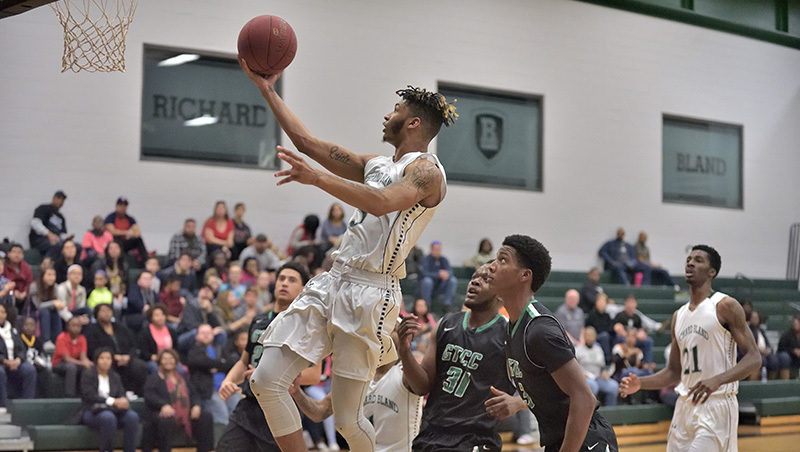 His dominance in high school and in the AAU circuit would make him one of the coveted recruit in the area. Melo would have over 10 major division one basketball offers that was narrowed down to the University of Xavier, Cincinnati, and Maryland. Melo would commit to the University of Maryland and stay home to play for Head Coach Mark Turgeon. 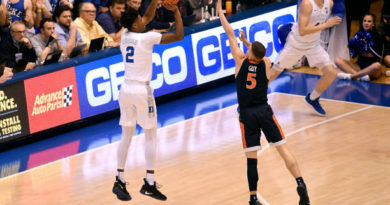 “I feel like I fit in real well with the program and I like Coach [Mark] Turgeon’s coaching style because he lets you play,”Trimble said in an interview with The Washington Post. Trimble would quickly find his way at the University of Maryland as a freshman. Before reporting to Maryland, he competed in the USA Pan American Games. He became just the third Maryland player ever to appear at the competition. Melo had a dominant freshman year starting all in all 35 games and earning First Team Big Ten Honors. 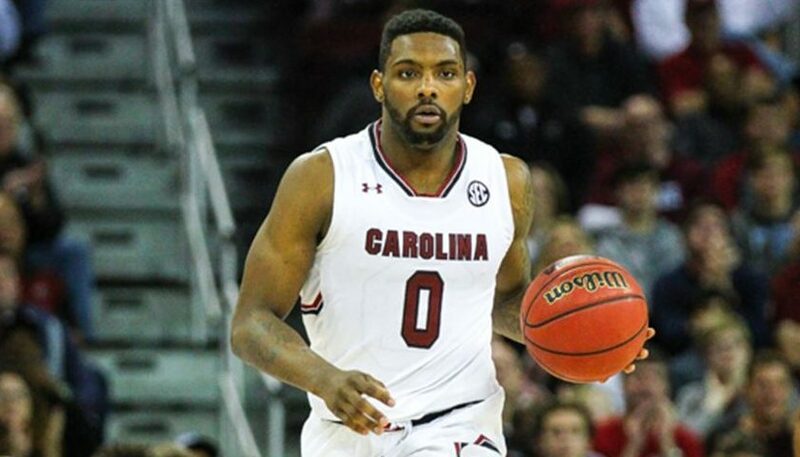 He also would become the Wayman Tisdale and the Bob Cousy Award Watch List Finalist. Most importantly he helped the Terrapins earn a 28–7 record and finish second place in the Big Ten. The Terrapins would finally reach the NCAA tournament in a decade where they received an at-large bid advancing to second round. Trimble would only improve and have a remarkable sophomore season at College Park. Trimble is the second player in Terrapin history to record 500 or more points in each of his first two seasons. In his two seasons at Maryland, he has led the Terrapins to a 55-16 record and recently he helped guide the Terrapins to the Sweet Sixteen for the first time in 13 seasons. He also guided the Terrapins to their first Sweet Sixteen appearance since 2003 and earning All-Big Ten honors for the second consecutive season. In his junior season, Trimble has been sensational. He’s lead the Terrapins to a 13-1 record and most recently being recognized as a Big Ten Player of the year candidate. The highlight for the Terrapins season so far was the Barclay Center Classic Championship game versus a tough and scrappy Kansas State team. The Terrapins needed Trimble to take over and he exceeded expectations by scoring 18 points that included six points in the last two minutes of the game. The most important shot he made was a contested layup with 6.6 seconds left in the game to secure the Terrapins a solid non conference victory. Melo is averaging a career high in scoring at 17.8 points a game and in field goal percentage at 47 percent. Currently he is projected as an early 2nd round draft pick in June but will look to bolster that projection by his play on the court. He hope to shows NBA scouts his ability to lead a young team in the Big Ten and improve his overall point guard skills. He has a nice group of young talent to play alongside that should allow the Terrapins to reach the NCAA tournament for the third straight season.